Despite immense mineral wealth, Africa’s economic success stories are few. Outside Botswana, Ghana, Mauritius, and Rwanda, economies on the continent have been held back by decades of state interventionism, corruption, petulant government spending, and irresponsible borrowing. National debts have reached unsustainable levels. In 2017, Mozambique defaulted on its euro bond payment, and default risk has been rising on Zambian debt since May. Only a strong regimen of reform can unshackle African economies from the suffocating grip of statism and free them to follow the path to prosperity. Reforms started out haltingly in the early 1990s but subsequently sputtered. In 1994, after spending $25 billion to sponsor Structural Adjustment Programs for economic reform in 29 African countries, the World Bank declared only six as economic success stories – Gambia, Burkina Faso, Ghana, Nigeria, Tanzania, and Zimbabwe. Countries soon disappeared from this phantom list, only to be replaced by others, some of whose successes were equally evanescent – Cameroon, Egypt, Uganda, among others. Today, several countries are grappling with serious reform efforts, including Ethiopia, Kenya, Mozambique, Nigeria, Rwanda, and Zimbabwe. Ethiopia’s new prime minister, Abiy Ahmed, is trying to liberalize the economy after decades of Marxist adventurism. State-owned enterprises including Ethiopian Airlines are being privatized and political prisoners are being released. Private investors are being courted to participate in railway service, electricity, shipping, and other services. It seems the reforms have also encouraged the Ethiopian rebel group Ogaden National Liberation Front to lay down their weapons and declare a cease-fire. In Nigeria, President Muhammadu Buhari is making a credible effort to tackle corruption, and in Ghana, the new president, Nana Akufo-Addo, has appointed Martin Amidu as the Special Prosecutor on Corruption. Amidu was a former attorney general who was sacked in 2013 by President John Mahama for refusing to authorize payments that he thought were fraudulent. However, there been some strong push back from those who benefit from the rotten status quo. On June 23 a bomb blast rocked a rally Prime Minister Ahmed was attending, killing three people and injuring 160. The Prime Minister escaped unhurt. 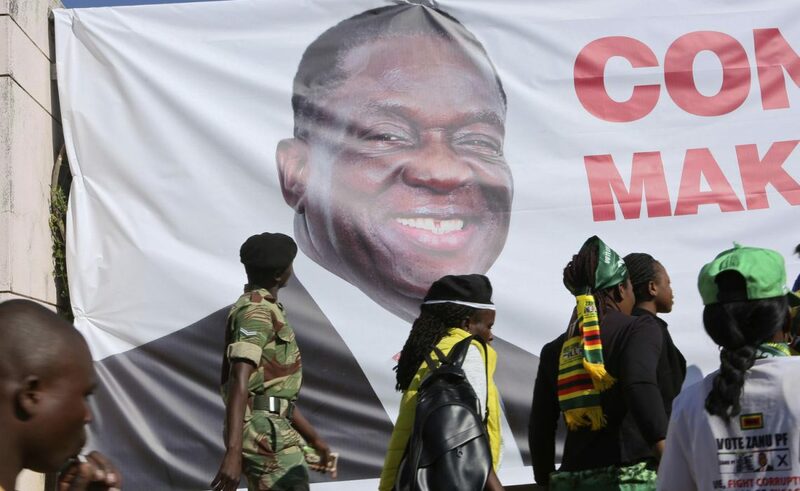 At about the same time, some 2,000 miles away in Harare, Zimbabwe, President Emmerson Mnangagwa – a self-acclaimed reformer – also survived a bomb attack at a political rally. In other countries, the credibility of reformers has been a problem. In Zimbabwe, the anti-corruption czar, Ngonidzashe Gumbo, was himself a bandit, jailed 10 years for defrauding the commission of $435,000. Nigeria finds itself in a similar situation where the anti-corruption commission – the Economic and Financial Crimes Commission (EFCC) – started prosecuting its own officials for alleged corruption. And the presidency itself has not been spared the embarrassment of having to suspend key aides over alleged graft. Olusegun Obasanjo, former president of Nigeria, once dismissed its National Assembly as “an assembly of thieves and looters.” Similarly, in Kenya and Tanzaniabodies charged with fighting corruption were themselves found to be riddled with corruption. Personalization is yet another obstacle that has stymied the reform effort. Presidents Buhari, Mnangagwa, and John Magufuli of Tanzania have adopted a highly personalized approach to fighting corruption. Such personalization gives the erroneous impression that fighting corruption is the task of the president. The corrupt may also get the idea that if they bump off the person leading the battle they can shut down the whole process. Corruption is a breach of the rule of law, and the fight should be an ongoing process regardless of who the president is. And to fight corruption effectively, one only needs a free media to expose it, a pugnacious attorney general to prosecute the corrupt, and an independent judiciary to enforce the rule of law and to punish the corrupt for all to see. Sadly, these institutions do not exist in the vast majority of African countries. In Zimbabwe, the recent election results have further dimmed prospects for lasting reform. The credibility of President Mnangagwa himself is dubious at best. The economy was destroyed by violent seizures of white commercial farmlands in the 1990s and foreign investors stayed away. The currency collapsed in 2009 after bouts of hyperinflation that once reached 1 million percent. Election violence in 2008 earned the country U.S. and EU sanctions. Shortages of foreign exchange crimp production, while unemployment hovers at 80 percent. .When Zimbabwe’s military generals ousted long-serving despot Robert Mugabe in November and installed Emmerson Mnangagwa as the new president, most international observers, pundits and donors held up their noses and gave him the chance to craft and implement the reforms that the country desperately needs. Mnangagwa vowed to end the country’s international isolation, woo back investors and compensate white commercial farmers. But old habits die hard. Mnangagwa is known as the “Crocodile” for the sly gaze he gives his rivals before moving swiftly to crush them. He was Mugabe’s right-hand man, and as security chief he oversaw the massacre of about 20,000 Ndebele dissidents who questioned Mugabe’s rule in the early 1980s. But in a rigged election that was marred by violence (protests left seven people dead) Mnangagwa showed that the Croc is no reformer. The election bore all the hallmarks of the long-ruling ZANU-PF party’s usual machinations. The voters’ register was padded with fictitious names, including more than 1,000 people about 100 years old and older; four were even born in the 1880s. Voter intimidation and vote buying were rampant. Even the results bore the telltale sign of election rigging: “Mnangagwa won 50.8% of votes to 44.3% for opposition leader Chamisa” to give the false impression that it was a very close race and he won barely scraping through by the skin of his teeth to avoid a runoff! This is the standard trick of African dictators. Overall, ZANU-PF won 145out of 210 seats in Parliament (69percent), while the MDC gained 65 seats. ZANU-PF has a parliamentary supra-majority with which the party can change the Constitution at will. This bodes ill for country that desperately needs reform. Complicating matters, the military generals who installed Mnangagwa have little appetite for reform. After his ouster, an angry Mugabe asked the generals to account for $15 billion the military is accused of plundering from the Marange diamond fields. Worse, Mnangagwa’s feud with his deputy president, General Constantine Chiwenga, has broken out into the open – a power struggle over the leadership of the ruling ZANU-PF party. Chiwenga is suspected of abetting the brutal military crackdown of opposition protests that claimed six lives after the July 30 election. Zimbabwe’s tragedy illustrates Africa’s reform conundrum. The country sorely needs reform. But reform cannot be delivered because either the credibility of the reformer is dubious or there is strong pushback by the corrupt. Failure to achieve reform through the ballot box too often leads to civil war – witness Liberia (1990), Somalia (1991), Rwanda (1994), Zaire (1996), Sierra Leone (1997), Ivory Coast (2005), and Libya (2011). All of these countries were destroyed because they lacked the mechanisms for peaceful change. Tragically, there are many other African countries today that still lack this same mechanism.